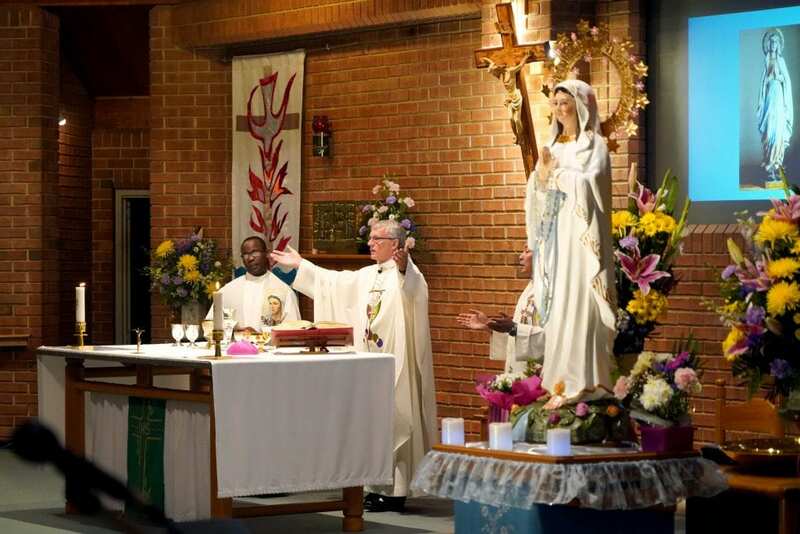 Archbishop Costelloe celebrated the Feast of Our Lady of Lourdes at All Saints Church on 11 February. Photo: Matthew Lau. The final day culminated with a Mass with special guest celebrant Archbishop Timothy Costelloe SDB along with concelebrants Fr Elver Delicano (Greenwood Parish Priest) and Fr Cyprian Shikokoti (Whitford Parish Priest). Geraldton Emeritus Bishop Justin Bianchini commenced the 10-day period of prayerfulness by celebrating the first Mass on Saturday 2 February. Archbishop of Perth Timothy Costelloe SDB preaches at Greenwood Parish on Monday 11 February. Photo: Matthew Lau. 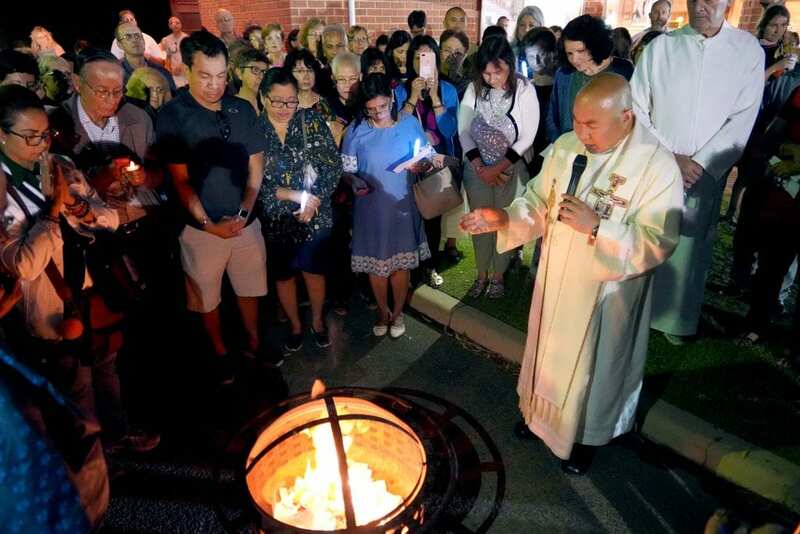 More than 200 people convened for the feast day Mass on the evening of Monday 11 February, which was followed by Benediction, a candlelight procession around the church, and burning of petitions. The rosary was prayed in English, Italian, French, Latin, and Burmese. In his sermon, Archbishop Costelloe said the fact that numerous Archdiocese of Perth parishes are dedicated to Mary the Mother of the Lord, indicates just how important Mary is in our Catholic understanding of the faith. “Many Christians of other traditions sometimes are puzzled by our focus on Mary. So too, sadly, are some Catholics,” he noted. 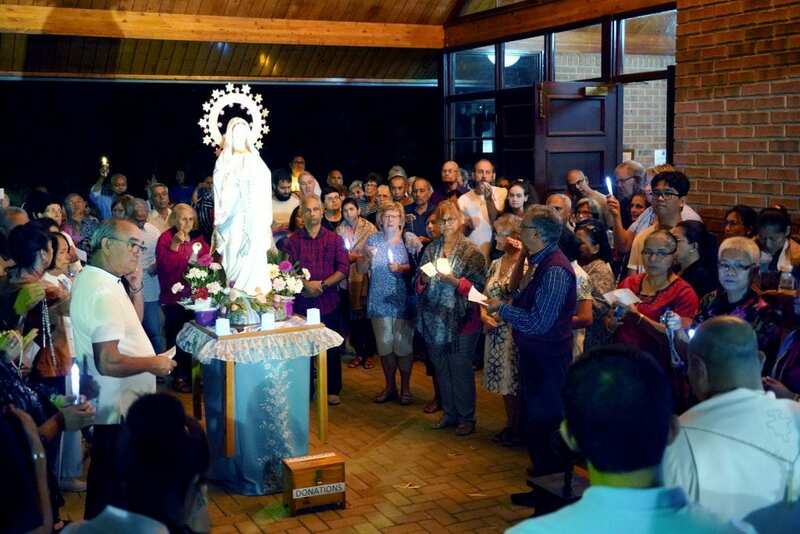 A candlelight procession with the statue of Our Lady took place after Mass on 11 February at Greenwood Parish. Photo: Matthew Lau. The emphasis of Mary’s importance, he said, should not be placed on the number of times she appears in the Gospel stories, but rather the significance of the occasions when she does appear. 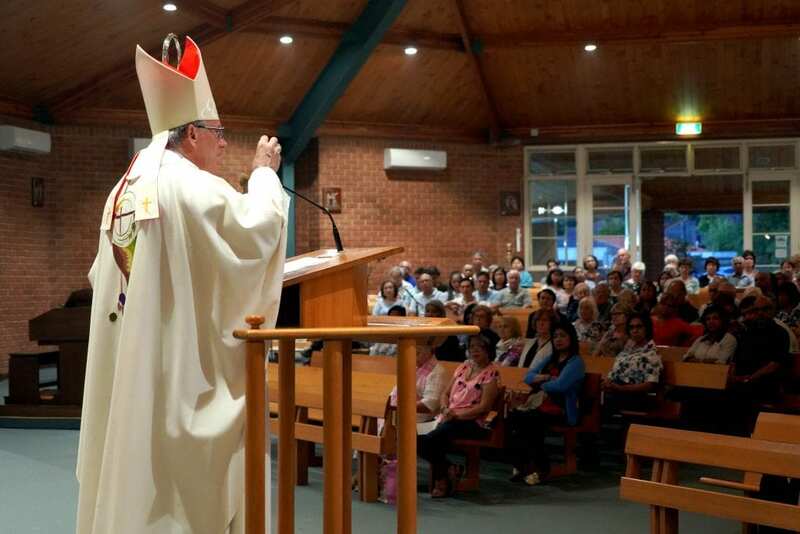 Alluding to the story of the Annunciation in St Luke’s Gospel, and furthermore in St John’s Gospel with the wedding feast at Cana and the death of Jesus on the Cross, the Perth Archbishop said it is critical to recognise the role Mary plays in the life and faith of the disciples of Jesus. “Mary is the great woman of faith, and there is no Church without trusting faith. John is the great model of discipleship – only he remained with Jesus when all the other disciples deserted him – and there is no Church without faithful discipleship. “Mary and John, given to each other by Jesus as he dies on the Cross, represent all of us who, in spite of our failures, weakness and sin, are still trying to be faith-filled disciples of Jesus,” Archbishop Costelloe continued. Greenwood Parish Priest Fr Elver Delicano burns the faithful’s petitions to bring the 10-day novena to a finish. Photo: Matthew Lau. This is true of each of us as individuals, he said, as it is equally true of any given Catholic community gathered in a parish. Girrawheen parishioner Jim Peters last year began organising annual novenas to be held at All Saints Church. “I am just a believer of Our Lady, whatever I ask for she seems to give it to me,” Mr Peters said. Mr Peters believes hosting devotions is one way of bringing the essence of Lourdes to Perth.